Trophic is a Greek word that pertains to one’s position in the food chain. 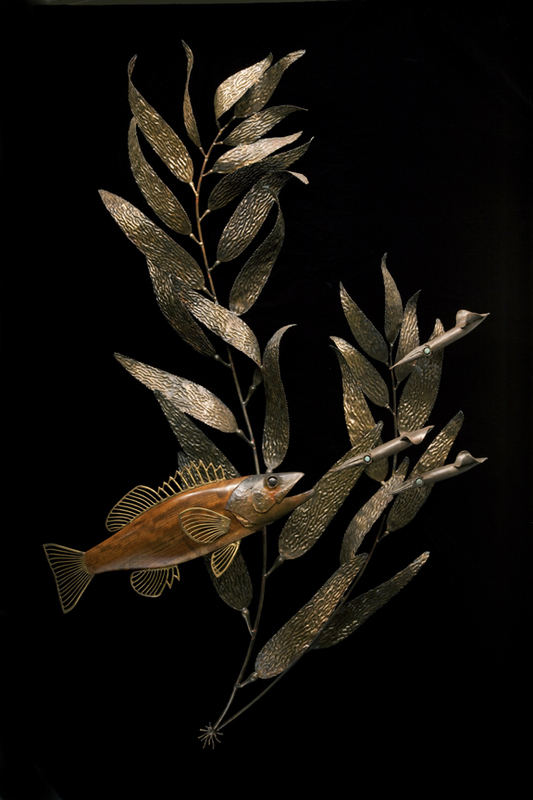 This Bass sculpture shows a calico bass chasing three squid through kelp. The bass is made of carved shedua wood; the head and fins are of bronze that has been forged, hammered and welded. The squid are forged and welded of steel, while the kelp is hammered and welded of bronze. Each kelp leaf has been individually hammered to achieve its naturally corrugated texture.